Comment: Nicely termed indeed to call Cambodia democracy “gray zone” or “foggy zone”. For me, it is beyond that two zones acclaimed by academicians, it is a “risky ridge zone” between crocodile and tiger. Cambodian people know very well that China is crocodile and Vietnam is tiger. 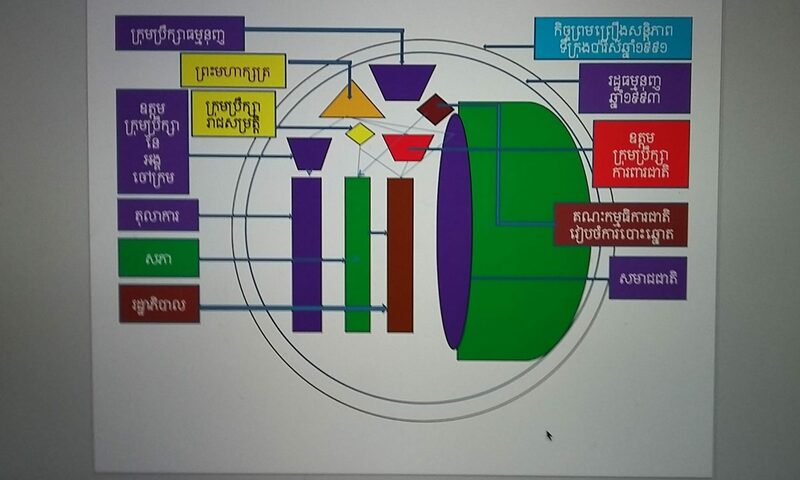 Kampuchea Democratic Party led by Pol Pot has evidenced on humankind devastation when their organ was purely given birth and bred by Vietnam but nurtured and nutrient by China. Under current leadership of government-led party CPP, the history repeat itself. Cambodian’s democracy is not developing — it is stagnating. I greatly appreciate that Parker Novak’s interest in Cambodian politics and that he foresees a positive outcome for Cambodian democracy. Unfortunately, as a Cambodian, I believe his article entitled “Cambodia’s Democratic Development: Short-Term Pain, Long-Term Gain,” fails to engage some facts which could lead to an unrealistic hope about Cambodian society and stagnate democratization. While Novak observes the absence of violence and removal of some clauses in the cyber law as a positive trend toward democracy, he misses some important issues that are concerning democratic advocates and scholars around the globe. What is happening in Cambodian politics is not unique, compared to what is happening in Latin America as well as other Southeast Asian nations. A quick look at the Freedom House reports would reveal that Cambodia is still classified as an authoritarian state, as it has been for decades. Cambodia does not even fit into the minimalist conception of democracy introduced by Joseph Schumpeter — a ruler elected “through a competitive struggle for the people’s vote” — let alone Robert Dahl’s “polyarchy” which demands free and fair elections as well as the rights to participation, expression, and information. The positive look at Cambodian democracy is misleading. Cambodia is falling into the “political gray zone,” a term coined by Thomas Carothers in the January 2002 issue of the Journal of Democracy, in an article entitled “The End of the Transition Paradigm.” The political gray zone is a space where countries are “neither dictatorial nor clearly headed toward democracy,” according to Carothers. The regimes have certain democratic institutions but are less accommodated to political opposition and civil society participation. Citizens in this gray zone context do not meaningfully participate in the polity besides voting and the political parties are entertaining each other without making any serious reforms toward a deeper democracy. Cambodia is trapped within the “foggy zone” and qualifies as an electoral authoritarian state as it has failed to institutionalize its democratic institutions. There are recurring free elections but not fair competition. The military is under one-man rule. The court is influenced by politics. Fundamental rights granted by the Constitution have been continuously violated. Clearly, the beatings of opposition members of parliament (MPs) in broad daylight in front of the National Assembly and the detention of opposition politicians are some of the many examples of ways the ruling party is abusing its own law. Thus, to argue that Cambodia is heading toward a meaningful democracy, and shall merely bear some pain along the way, is to miscalculate the authoritarian’s ability to consolidate his power and manipulate democratic rules to camouflage his dictatorship. It will take a stronger push from both local and international actors to advocate for more meaningful democracy. Cambodians have been enduring enough pain, have lost many lives, and have vigorously spoken for true democracy in their country. If elections are the only road to democracy, yet the election does not reflect the people’s true will, what can Cambodians hope for?